Employees today want more than a steady, well-paid job at a promising company. In this competitive job market, employers are finding it increasingly difficult to recruit, retain, and motivate top talent. Yet, they continue to rely on outdated employee engagement strategies that no longer work. As pressures increase from an evolving workforce, organizations from startups to enterprises must prioritize employment engagement now more than ever. We've identified seven bad habits that commonly hinder organizations. 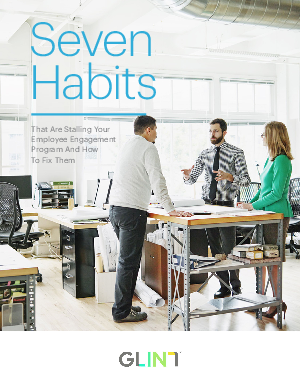 Download this whitepaper to learn how to transform old habits into the effective, future-ready programs that drive today's high-performing organizations.